R E S S Y - Live the experience! Now keep your wallet and tummy full! 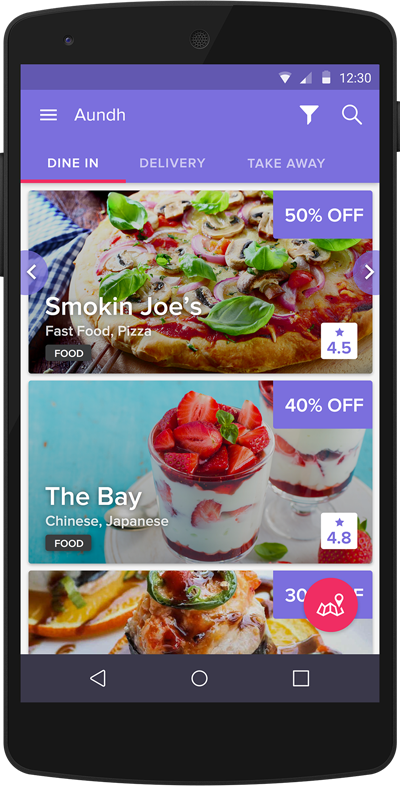 Never again pay full price to dine-in, takeaway or delivery at the restaurants that YOU love. 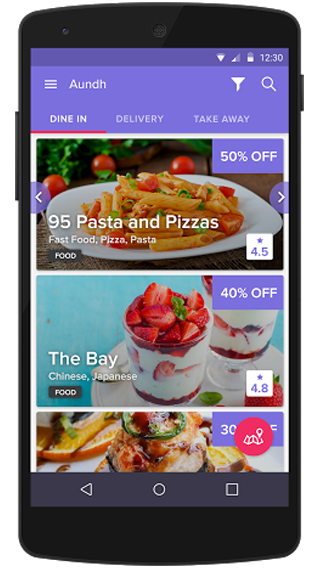 With Ressy’s ultimate location based mobile app you get up to 50% discounts at delicious local restaurants in real-time. 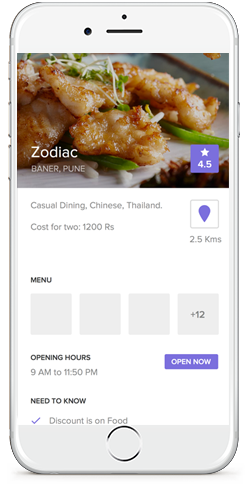 We are Currently serving in selected cities : Pune & Mumbai. Soon We Would be Serving You in your City. 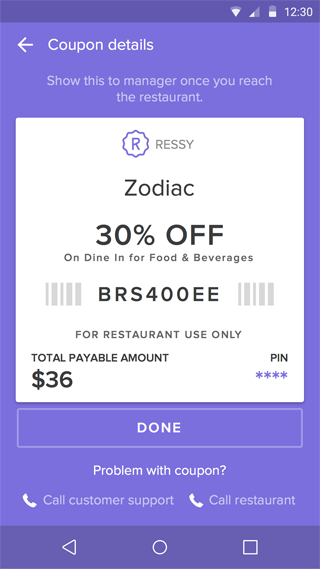 Here are several features that makes RESSY an unique app. 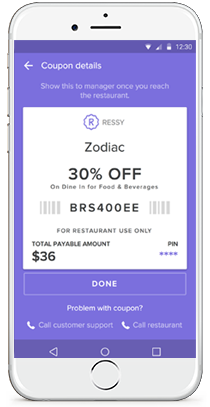 Ressy automatically detects the restaurants closest to your current location, and shows the best deals taking place in your area. You can also select from different city locations when traveling. 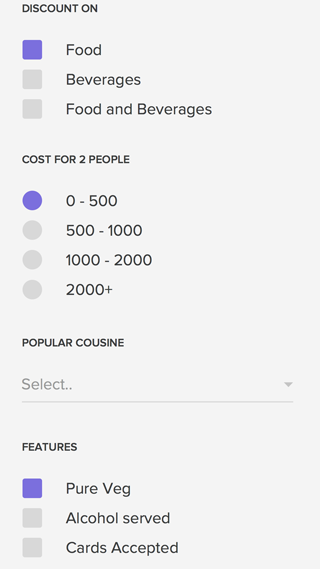 When you select a restaurant, you can immediately view an up-to-date menu, food category, and the hours for which a deal is available and whether the deal is available for dine-in, takeaway or delivery only. 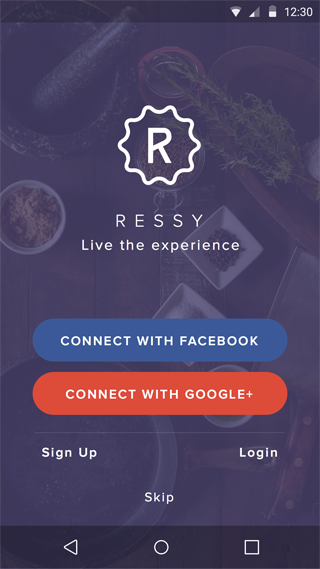 Ressy lets you connect with Facebook or Google+. 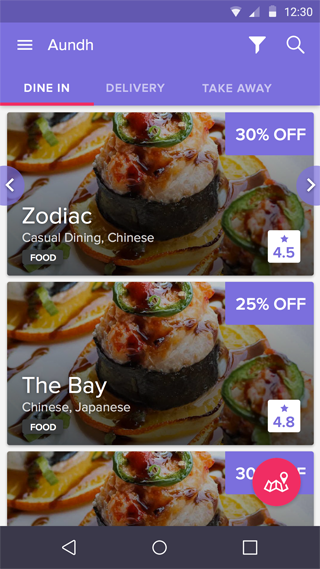 Once logged in, simply select a deal, visit the eligible restaurant, enjoy eating, and present your unique coupon to the restaurant’s manager; while placing food delivery order, communicate coupon code via phone call. Available for Dine In, Delivery and Takeaway on Food as well as Beverages. 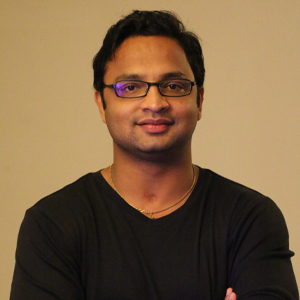 Koustubh is the Co-founder and Chief Executive Officer of Ressy. In his brief experience of 6 Years he was associated with renowned startups like Groupon, TinyOwl, and deals&you.com. 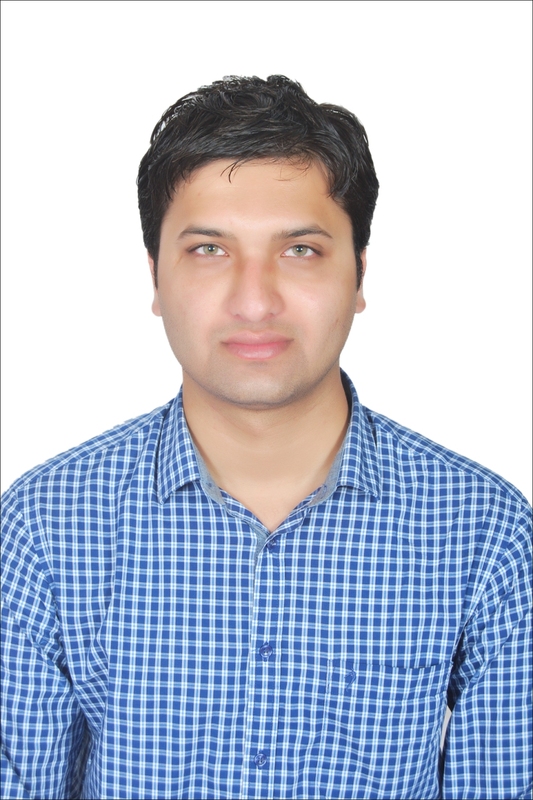 He has a rich experience in the e-commerce industry heading sales, marketing and operations for the startups. Sagar has always been the techie innovator. He handles the entire technology part for Ressy. 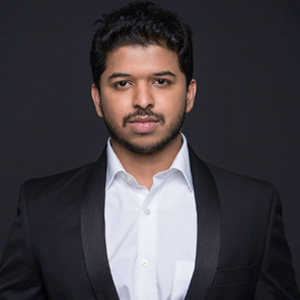 In the Past, Sagar started his first venture - Masterworks, a media agency in 2009, raised funding in 2011, which was later acquired and merged with Multiversity. Oversee all technical aspects and technological resources of an organization. Help build, manage, and validate a Tech Road map for Organization. Manage and Coordinate Product Development, Testing, Support, Release Management, Sprint Planning and Coordination. 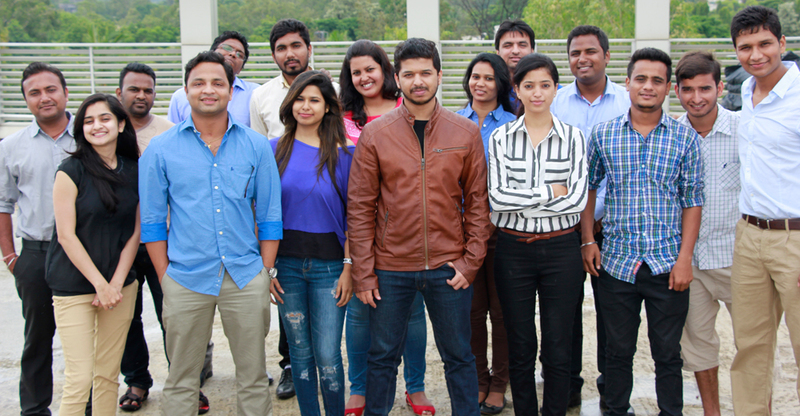 In the Past, Kuldeep has worked and Lead the teams in Tech giants Infosys, Oracle. There are no leashes at Ressy. We work on flat, decentralized teams, each with decision-making authority, and our people have the freedom to approach, own, and solve problems creatively. We've intentionally chosen this path over a traditional hierarchy, and it works much more often than not. "Great concept! 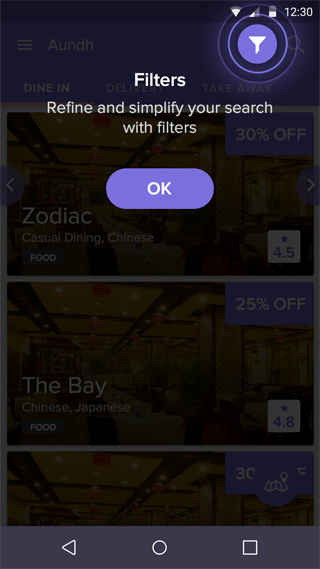 Very easy to use app - actually real and instant discounts. This model must really be encouraged!" "This is so utilitarian..It hits the right cord with the food lovers." 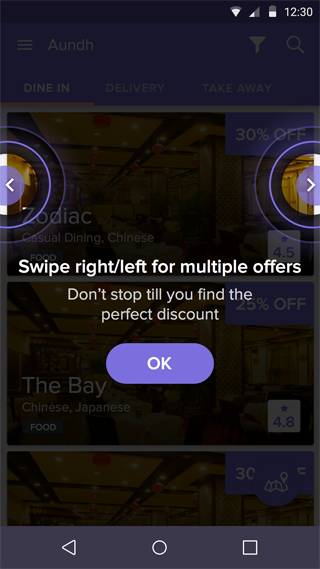 "Best app to avail FLAT Discounts. 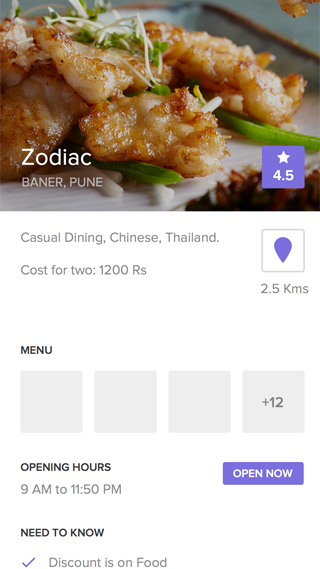 Such a hassle free app for flat discounts on restaurants. No hidden terms and conditions. 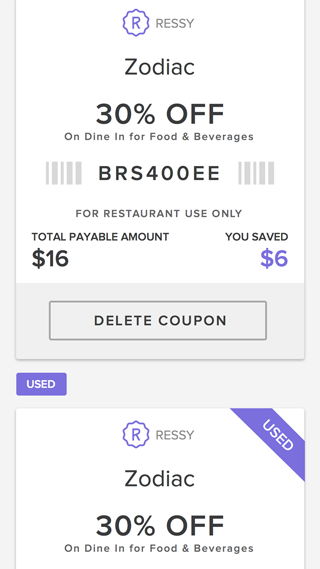 Thank you, now I can go to all the restaurants without worrying to spend too much." Terms & Conditions: We as a merchant shall be under no liability whatsoever in respect of any loss or damage arising directly or indirectly out of the decline of authorization for any Transaction, on Account of the Cardholder having exceeded the preset limit mutually agreed by us with our acquiring bank from time to time. Uptodate with the latest UI/UX trends, techniques, and technologies. Fluency in best practices for web­based information architecture and design, as well as strong knowledge of usability principles and techniques. Has an understanding of web technologies — HTML/CSS/JS, it’s important to know how the pieces fit together and what is/isn’t possible. Work alongside the partners, design, and data teams to define, solve, and implement innovative solutions for the product direction, visuals and experience. Brainstorm, propose & design creative solutions that could bring our products to another level. Help design the UI architecture (High fidelity), interface, interaction workflows, wireframes, and mockups to effectively communicate interaction and design ideas through consideration of business requirements & technical limitations. Support in creation of wireframes, high fidelity mockups production art assets. Visually improve graphic assets through better use of hierarchy, fonts, and color. Know how to measure and when to optimize their software. Want to take full ownership of a project but are open to input from team members. Minimum 2 to 5 years of experience in testing mobile applications on iOS; Android and Web platforms. GNU/Linux(CentOS ­ desirable) is your favourite Operating System and BASH is what you speak with a cup of coffee. Working knowledge of virtualization technologies like KVM, cloud computing (openstack desirable) and storage technologies. Experience with cloud computing systems like AWS, EC2. Proficient in Problem Solving, Data Structures and Algorithms. Customer/User Empathy ­ Understand our audience! Sound knowledge of Android Activity life­cycle and different application components. A keen interest in and excellent understanding of branding, including creating and extending brand identity systems. Attention to detail and a demonstrated mastery of typography, color and page layout. Excellent visual communication and art direction, strong storyboarding and visualization which injects beauty and life into a creatives. At least 2 years experience of working with creative agency for branding and designing creatives for online and offline marketing activities. Work from concept to execution in producing high-quality visual designs, including online and offline Branding Marketing Campaigns. Express strong concepts through effective visuals. Develop the design rationale and explain visual choices to Brand Manager. Create and iterate on assets that reflect a brand, enforce a language. Qualification & Experience- Bachelors in Design ( Masters would be a plus) with minimum 2.5 - 3 years of Creative Agency. Please include links to your portfolio or attach it along with your resume. A vivid writer, who can put ideas/concepts into words and have the ability to write CREATIVE content based on little information. Should have a flair for writing, fluency in spoken English is must. Have impeccable grammar, punctuation and command over the English language. Self starter and should have creative thinking with a flair to develop content in good english. Creative writing for Online and offline Marketing Campaigns which includes flyers, brochures, paper inserts, social media posts, push notifications, emailer’s and more. Writing for Website and Blog. We are looking for a someone with 1 to 4 years of experience in Sales and Business development. The Sales team prospects and consults with local businesses on negotiable offers for our subscribers. People who are passionate about startups. Who have strong negotiation and convincing skills. Who can develop and maintain relationships with clients. Have prior experience in F&B, Hospitality or any on field sales related sectors. Experience in canvassing and cold-calling into various types of local businesses & Network of contacts in the relevant sector is a definite bonus.